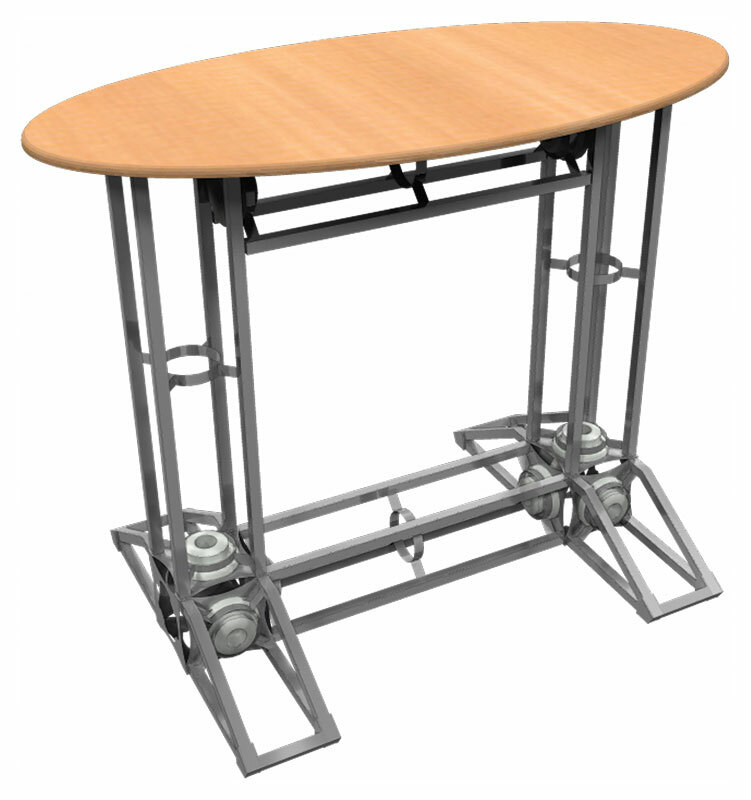 An oval truss counter designed to complement an Orbital Express™ display. 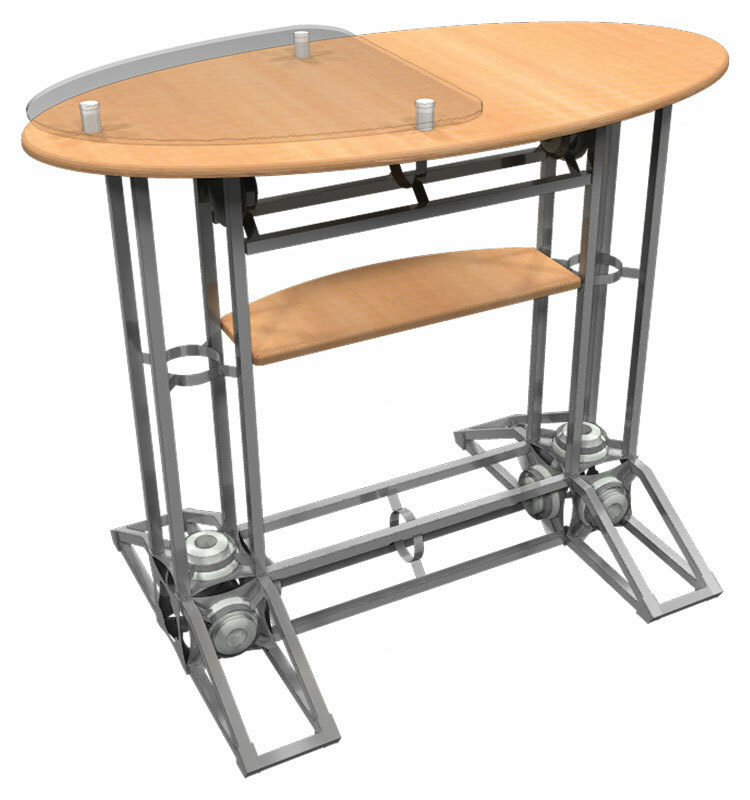 The counter can support a maximum weight of 35lbs. 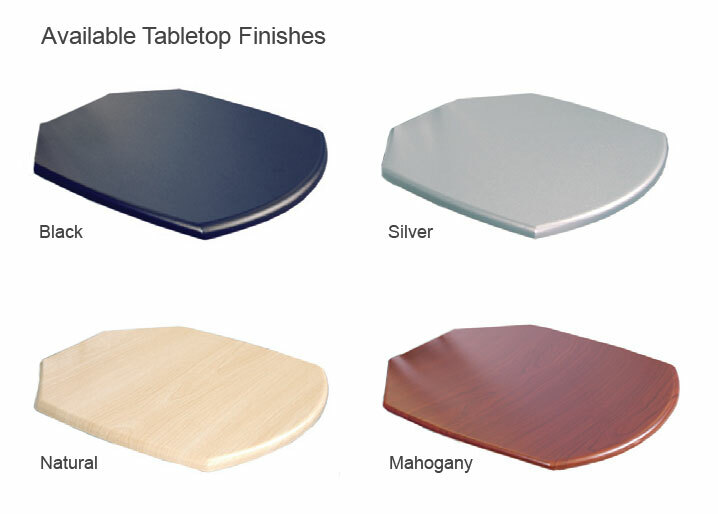 The counter top is available in your choice of 4 finishes. Features a simple twist and lock design and toolless assembly. 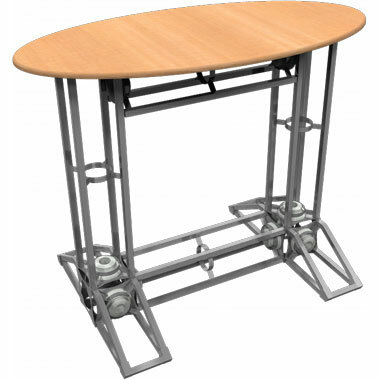 Truss counters and podiums have several attractive designs to choose from with a sleek plex top as an available option. The flat shipping rate for this item is $85	USD for standard delivery within the continental United States.